The pros and cons of road projects proposed for remote areas with high biodiversity conservation value are rarely examined before they are built in the explosion of road expansion projects that are currently underway in many developing countries. 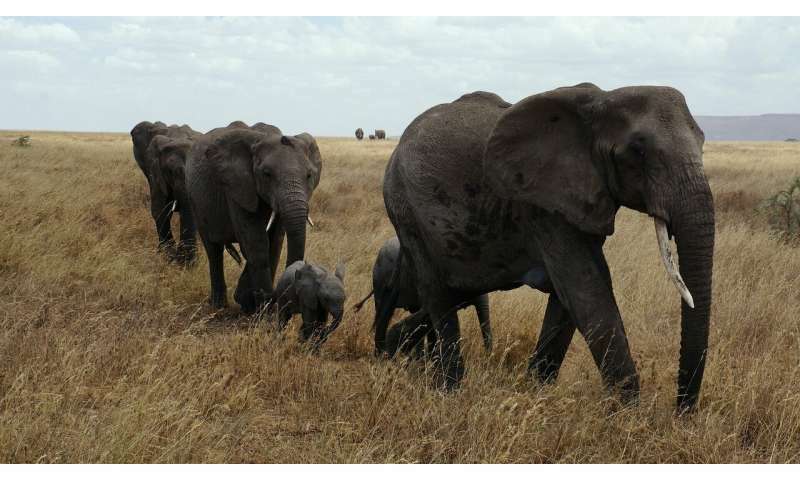 Researchers from University of Copenhagen have used a method called a discrete choice experiment to determine how road development would affect local peoples livelihood activity choices in the Serengeti area. A discrete choice experiment allows researchers to use hypothetical scenarios to measure the strength of preferences and trade-offs for local people regarding different livelihood options. The study is published in PLOS ONE. Solomon Zenas Walelign, one of the authors of the study and postdoc at University of Copenhagen, says construction of the road could result in one of two contrasting outcomes. "One possible outcome is that increased market integration will allow intensification of existing crop and livestock production, and the development of non-farm micro, small and medium enterprises, both of which will reduce environmental resource extraction. However, a contrasting outcome predicts that people will expand existing production, which will lead to land conversion and overgrazing and commercialisation of hunting to meet urban market demands," Solomon Zenas Walelign says. "The effect of roads on livelihood activity choices can typically only be observed after the implementation, which prevents the design of timely mitigating policies and strategies. We used the discrete choice experiment to see how people expect to change their livelihoods," said Jette Brehdal Jacobsen, professor at University of Copenhagen. The study helps shed light on how local communities in the Greater Serengeti Ecosystem expect to adjust their livelihoods in response to road improvement. This information is urgently needed to enable informed predictions about emerging and changing environmental pressures that result from land use change, overgrazing and the bushmeat trade. The study found that people did not expect to increase effort hunting bushmeat—but they did not plan to reduce the number of household members engaged in bushmeat hunting either. However, the clearest result was a strong preference for traditional livelihood activities, adding more agricultural land and more livestock, as travel time to markets was reduced through road improvements. "The results indicate that if new roads are constructed or old ones upgraded, people will prefer to expand their traditional activities by converting more land to cropland and increasing the number of cattle in the region. Together, these changes will likely increase illegal grazing pressure in the protected areas, which is already a major conservation concern in Serengeti National Park," says Associate Professor Martin Reinhardt Nielsen, who is one of the leaders of the AfricanBioServices project, which financed the study. The authors of the study suggest that land use planning and control of land use conversion and illegal grazing is critical when constructing and upgrading roads in the Greater Serengeti Ecosystem. This should be combined with education programmes and strategic efforts to encourage the development of local non-farm micro, small and medium enterprises that are alligned with conservation goals and take advantage of the large tourism income potential in the ecosystem. Assuming that land was available, the study predicted an average increase of 1.54 acres of cultivated land and 1.43 cattle per household. The study did not find any evidence that local people would take up new wage-earning opportunities or engage in business development as travel time to markets was reduced. Low-interest loans and extension services could help modify the preference for extra land, but only to a limited extent, the researchers found. Serengeti road divides biologists: Will a road across the northern tier of Serengeti National Park ruin it?